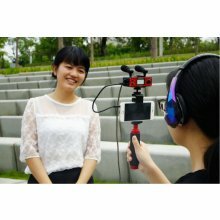 Smartphones can shoot incredible looking video, but the audio quality they provide is usually a massive disappointment. 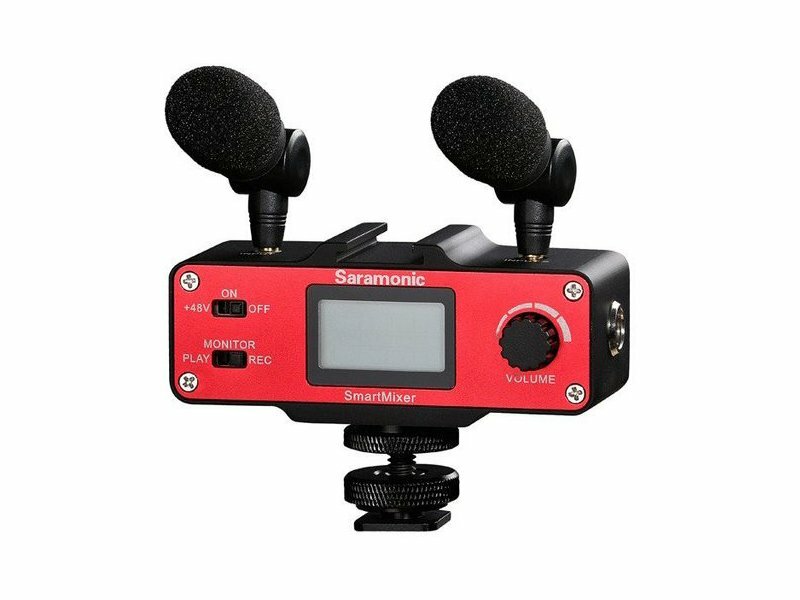 The Saramonic SmartMixer is a compact mixer and microphone kit that seamlessly integrates with your phone and vastly improves the sound quality of the videos you shoot. 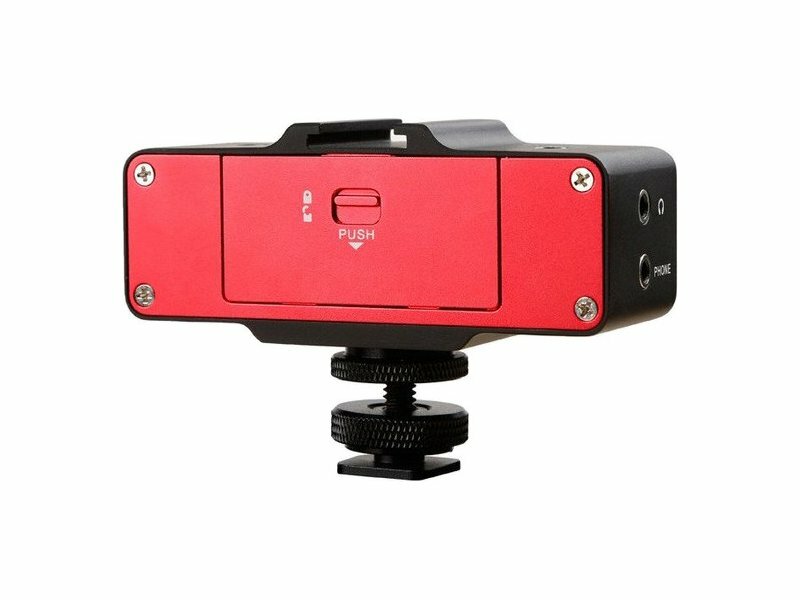 The included hand grip and mount improves the stability of your videos as well. The lightweight and compact SmartMixer runs on a single 9-volt battery and comes with two low-profile condenser microphones that plug into it. 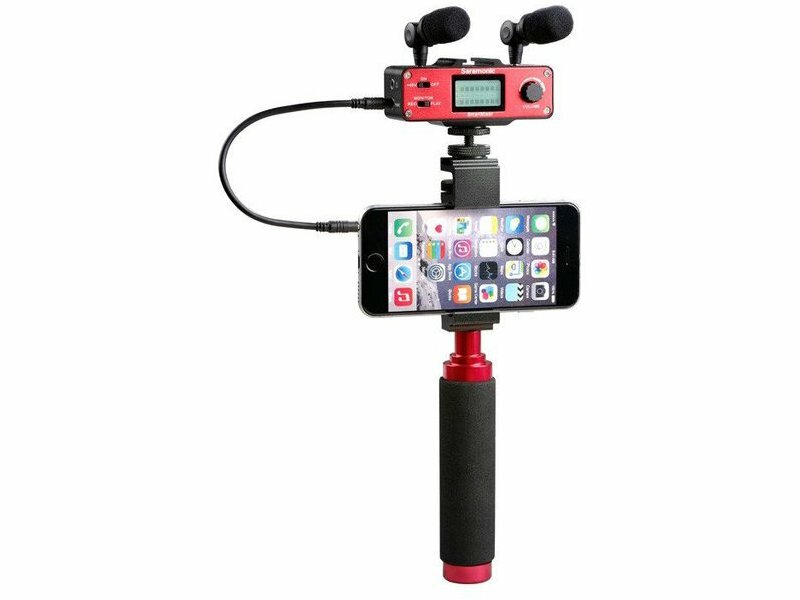 These mics can swivel up and down and rotate to point at people and other sound sources. 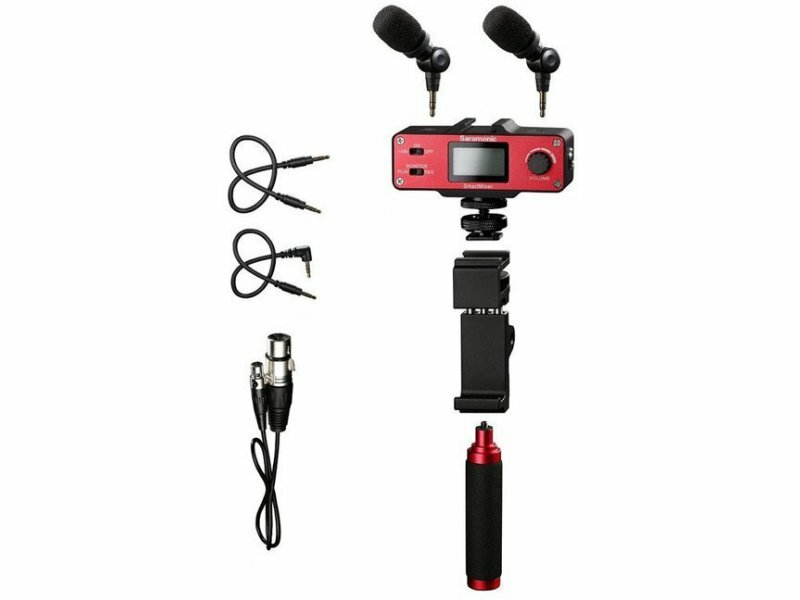 A mini-XLR input on the side with +48 volts phantom power makes it possible to use any professional microphone, such as a shotgun or handheld interview microphone with your smartphone. An easy-to-use stepped gain knob lets you set perfect levels, and a backlit display enables you to always see your audio meters and remaining battery level even in the darkest or brightest environments. A dedicated switch toggles between recording and playback modes, so you can easily listen to your videos through the SmartMixer’s headphone jack. 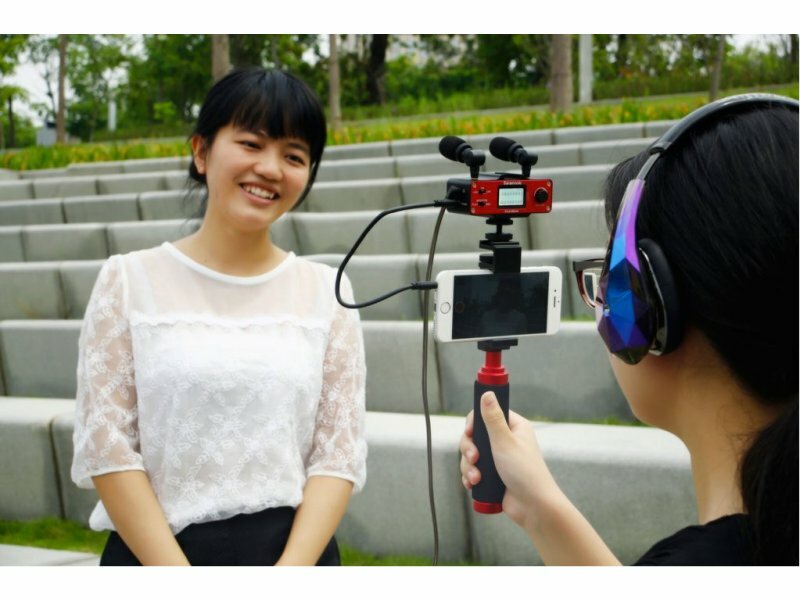 The versatile smartphone clamp lets you to shoot in either landscape or portrait mode for vertical video and it can be adjusted to fit smartphones up to 3.6” (9.1 cm) wide with a case, which will accommodate even the largest handheld devices. 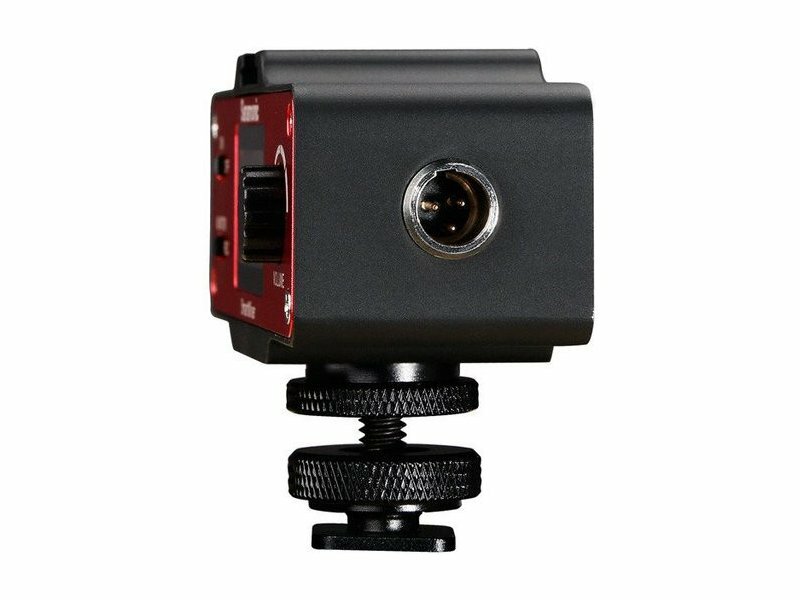 A shoe mount is provided at the top to attach microphones, wireless receivers or lights, and a tripod thread at the base gives you further mounting options.